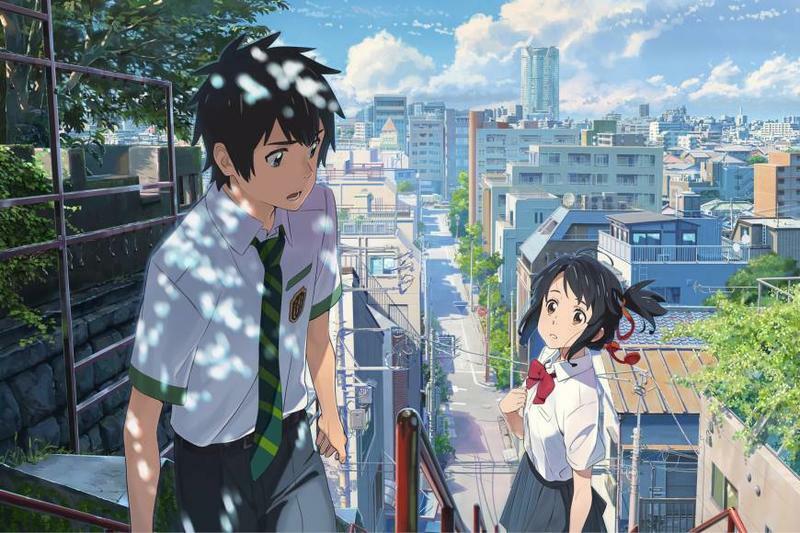 Makoto Shinkai's anime hit Your Name, Kimi no Na wa in Japanese, has surpassed Hayao Miyazaki's classic Spirited Away as the biggest anime box office hit. The film has earned over $281 million worldwide, beating Spirited Away's previous record of $275 million. Of course, the film was a huge hit in Japan, where it stormed the box office for several months, and its three main songs have also seen constant radio play in restaurants and other shops. What ultimately proved to push it over the mark was a boost from the Chinese and South Korean box office, where it was also a huge hit. Funimation scored the rights to distribute the film in North America, and it will begin playing in theaters this coming April. Your Name is also in the bidding for Best Animated Feature at the Oscars this year, where it is competing with 27 other films on the list. I managed to slip into a movie theater during school hours on a weekday to see it, and I managed to struggle through it with no subtitles. The film tells the story of two high school students, a countryside girl and a city boy, who switch bodies and learn that they actually like one another's lives. The girl, Mitsuha, craves to get away from her boring countryside life as a traditional shrine girl, and the boy, Taki, struggles with the hustle and bustle of urban social life. And that's as much as I'll say. The film takes a crazy turn at the two-thirds point, and what seems like a goofy teenage romance film gets a cool science fiction twist in a way that only Makoto Shinkai can provide. Something for all audiences to enjoy, both young and old alike. Great date movie, too. Those familiar with his other films will know what I mean. Just when you least expect it, boom, something slams into the movie that completely turns it on its head. If you haven't seen it already, check it out this April when it comes to theaters.